Unlike Keeneland’s September sale which offers only yearlings, Keeneland’s January sale is an all ages sale. This year’s catalog included six hundred seventy-seven broodmares and broodmare prospects, six hundred twenty-eight short yearlings, two hundred sixty-four horses of racing age, and thirteen stallions. 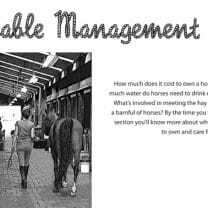 Horse Talk – short yearling: a yearling horse that has just turned a year old. A long yearling is a horse that is closer to two than one year old. 1. How many horses were offered at this year’s Keeneland January sale? When the first foals by the Triple Crown winner American Pharoah were offered as weanlings last November they were very popular. From the 13 offered for sale, 10 were sold for a total of four million four hundred fifty-five thousand dollars. 2. What was the mean price American Pharoah’s 10 weanlings sold for last November? Write your answer in expanded form. The January sale is divided into two ‘Books’. 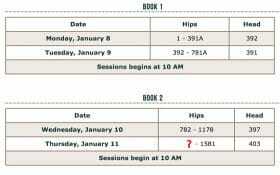 Each Book is then divided into two Sessions. This year’s January Books are shown at the left. 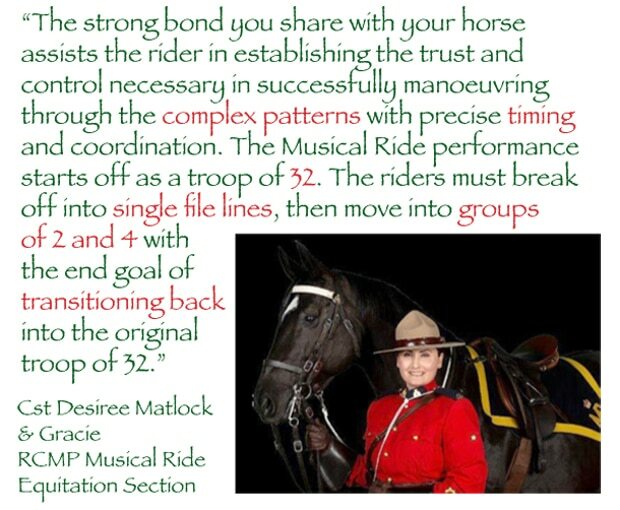 Each yearling in the sale is given a ‘hip number.’ The hip numbers start with 1 and increase in increments of 1 until all the yearlings have a number. 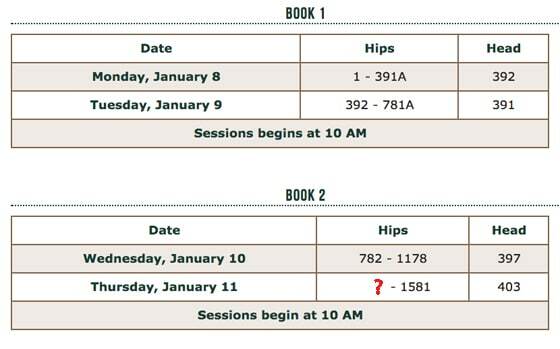 Book sessions are organized by hip numbers, with a range of numbers assigned to a given day and start time. Buyers view and research the yearlings in the days leading up to the auction. After they’ve decided which horses they want to bid on, they check the Book schedule to determine on what days and times they’ll need to attend the auction. 3. If you wanted to bid on the American Pharoah colt shown above, Hip 303, what day would you attend the auction? 4. 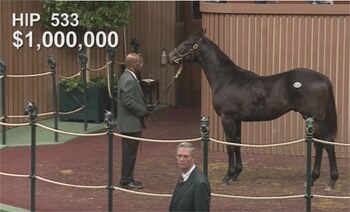 Colt #303 sold for four hundred thousand dollars. What was the difference in price between his sale price and November’s mean price? 5. 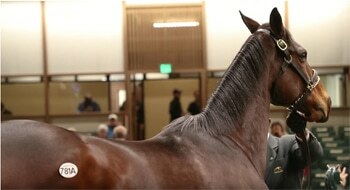 What is the hip number of the first yearling sold on Thursday, January 11? 6. Imagine you bid on an American Pharoah colt, Hip 533. What session is he in? 7. You’re also interested in a mare, Introvert, by the sire Smarty Jones. Her hip number is 0850. In what session will she be offered for sale? Nine hundred nine horses were sold at this year’s sale for a total of thirty-four million nine hundred ninety-six dollars. Here she is, top priced horse at this year’s sale, Mrs McDougal. 8. 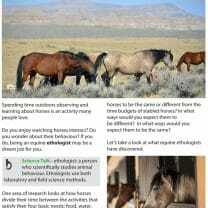 What was the mean price for horses sold at this year’s auction? Round your answer to the nearest whole number. The top price at this year’s sale was one million six hundred thousand dollars. This went for the mare, Mrs McDougal, Hip 781A. 9. In what session was she sold? 10. How much more was she sold for than the mean price for this year’s auction? 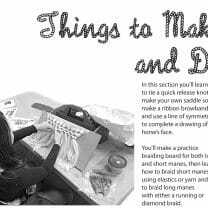 Write your answer in word form. Would you like to attend the Keeneland January sale someday? 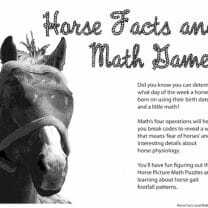 If you do, you’ll know how to read and interpret the Books and sessions to find the hip numbers for the horses that are your favourites. 1. How many horses were offered at this year’s Keeneland January sale? Write your answer in word form. Answer: 677 + 628 + 264 + 13 = 1582. One thousand five hundred eighty-two horses went up for sale at this year’s Keeneland January sale. Answer: $4,455,000 ÷ 10 = $445,500. $400,000 + $40,000 + $5,000 + $500. 3. If you wanted to bid on the colt shown above, Hip 303, what day would you attend the auction? Answer: $445,500 − $400,000 = $45,500. He sold for $45,500 less than November’s mean price. 7. You’re also interested in another mare, Introvert, by the sire Smarty Jones. Her hip number is 0850. In what session will she be offered for sale? Answer: $34,996,000 ÷ 909 = $38,499.449. The mean price for horses sold at this year’s auction was $38,500. Answer: She was the very last horse sold on Tuesday, January 9, session 2, Book 1. Answer: $1,600,000 − $38,500 = $1,561,500. She was sold for one million five hundred sixty-one thousand five hundred dollars more than the mean price at this year’s January sale.